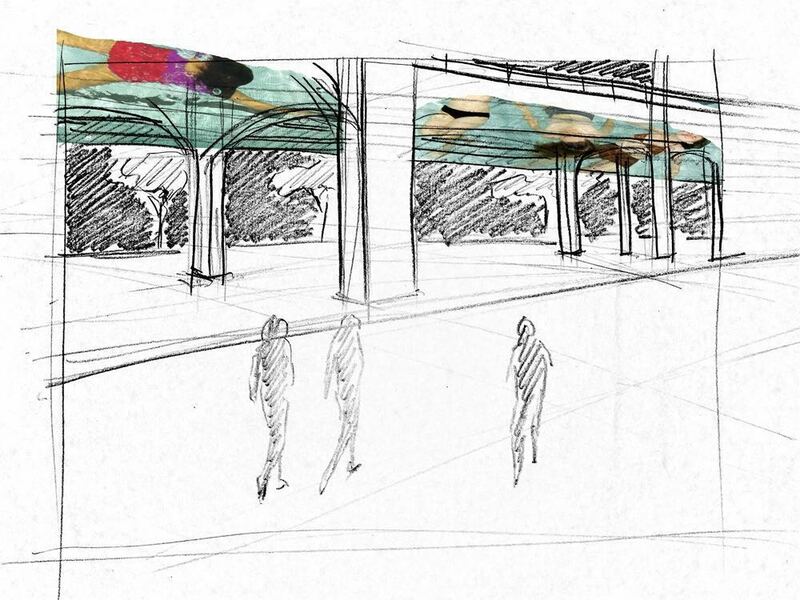 The Rockaway Waterfront Alliance invited me to make the public space under the elevated train more inviting to the people of Rockaway, New York. Reﬂecting on this beach community’s connection to water, local people were ﬁlmed from below and projected under the elevated train structure to appear as if they are defying gravity, creating an unusual, a magical evening space. In tandem, I co-taught a youth workshop for bioluminescent deep sea creature costume and soundscape making workshops with artist and educator Heather Kramer.